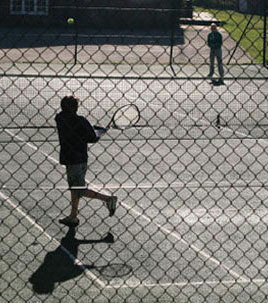 Brook Tennis Club is a members only club, situated in the grounds of the Pirrie Hall. It comprises a very recently refurbished single court with a hard, painted surface. Members may book in advance, or turn up and play if the court is free. Subscription rates are comparatively low and membership categories are: Family, Husband/wife/partner, Single (Over 18), and Single (Under 18).